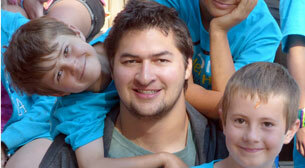 Is a quality residence summer camp that enjoys an enviable reputation in the camping community. 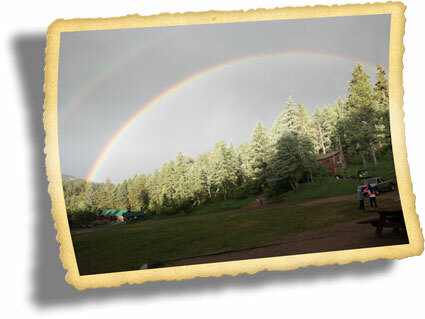 Accredited by the American Camp Association, Geneva Glen has more than 9 decades of continuous seasons. 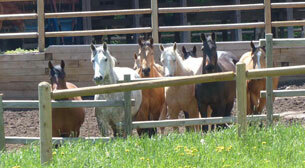 Geneva Glen is a coed, private camp. 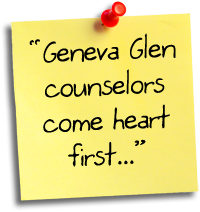 Fifth-generation campers attend Geneva Glen. Seventy percent of campers return each summer, often for their 8th, 9th or 10th year! Campers come for two-week sessions -- four in all. Staff employment is for ten weeks, which includes an intensive and comprehensive seven-day training orientation. A Colorado summer is the perfect time to work and play hard. At camp, lights-out is 9:30 to 10:30 depending on the age of your campers, and the wake-up bell is at 7:30. The food is good, and there's lots of it -- three times a day. Geneva Glen is in the foothills of Denver, at an altitude of 7,000 feet. The camp, located on 500 acres of beautifully wooded mountain terrain, is in the mountains but has convenient access to the city. The climate is ideal: warm and dry days, cool nights, clear blue skies nearly all of the time with afternoon showers (often followed by double rainbows). Staff members sleep in cabins and dorms in bunk beds. There are good bathroom and shower facilities.